As a leading travel company based in Africa we come across heart-warming inspirational stories on a daily basis – from an elephant caught on CCTV cleaning up trash to digital companies in Moscow creating virtual panoramic photos of Victoria Falls. We love sharing these stories with you. 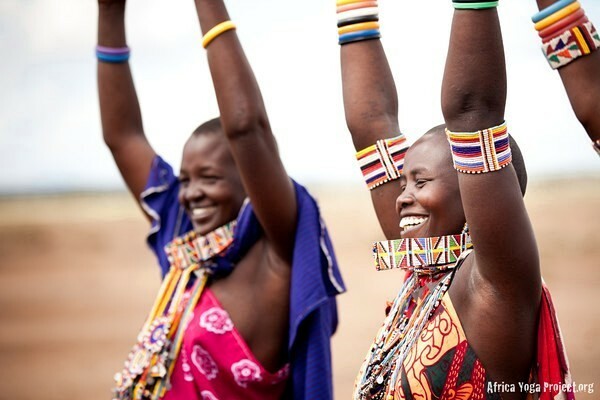 Today we bring you an empowering tale of how a 5000 year-old practice from India is shifting the lives of many in Kenya. The Africa Yoga Project (or AYP) is an organization focusing on the benefits of yoga philosophies and practices by introducing it to children, youth and adults. But more than that, they’re giving travelers, such as yourself, the opportunity to have a much bigger purpose than just exploring a new country. 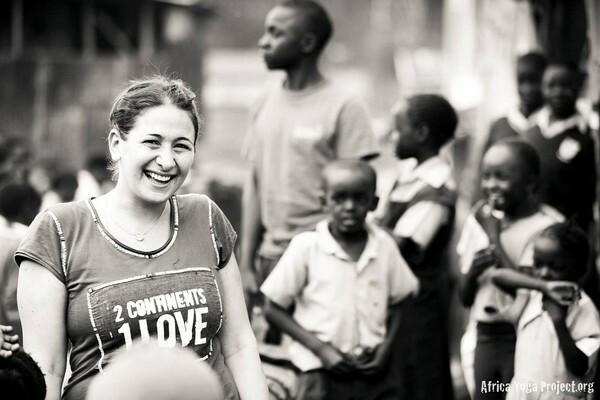 According to co-founder and New York graduate Paige Elenson, the AYP’s journey started in 2007 when she moved to Kenya in an effort to help youth and women living in the East African country. As time moved on she nurtured her desire to learn, contribute and alter Kenyan lives through the trans-formative power of the century old physical practice of yoga. 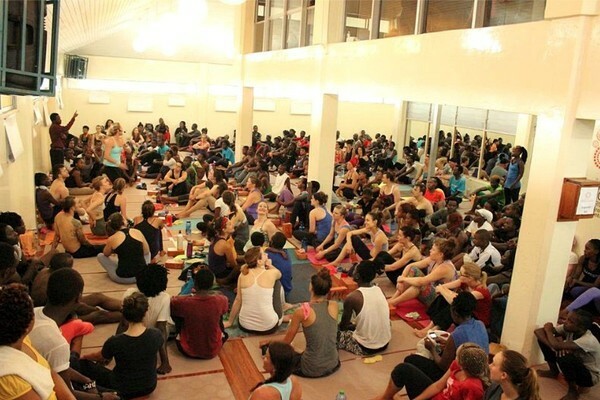 With Baron Baptiste (a house-hold name in the yoga movement) and his community support, the first yoga teacher training was organized in Nairobi. These days AYP employs local youth to teach full-time in their communities – a powerful stream of good that is benefiting thousands of Africans, and it’s getting stronger every day! Together with Baron, Paige wanted to create an empire of goodwill. Several partnerships were made with leaders in politics, philanthropy, design and entertainment to spread the AYP ideas and broaden the organization’s influence. Paige’s long term dream is building yoga in Africa by reaching other countries in the future. For now her beautiful work creates unique opportunities for involvement and transformation of many Kenyan communities by offering yoga as a personal transformation tool. It also gives members of the global community a change to get involved and contribute. The end result is a deep and transforming exchange of experiences and knowledge – and one that is no doubt getting the Ubuntu founding fathers smiling from beyond grave. If you’re dreaming of a safari in Kenya and would like to do some good (whilst exploring the unseen beauties of East African communities), we highly recommend you pay the AYP a visit. 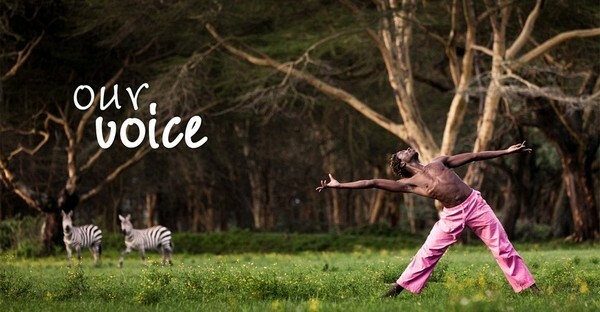 You’ll be delighted to know that that some safari lodges and hotels, like Tribe Hotel in Nairobi, have already brought in AYP teachers and are offering yoga classes to guests. The AYP initiative has the ability to grow further with the help of others. The AYP offers workshops, yoga classes, teacher training's, travels and volunteer opportunity for those who are interested. The organization is based in Nairobi and the Shine Center is where most workshops and classes are taken. “The difference in you attending this training over any other training in the world is because you are willing to teach yoga to everyone. It doesn’t matter what yoga looks like on the outside, but what it does to the inside,” says Paige. For more information visit their site and give them a follow on their Facebook, Instagram and Twitter. Alternatively, you can also speak to us about a tailor-made experience to East Africa.